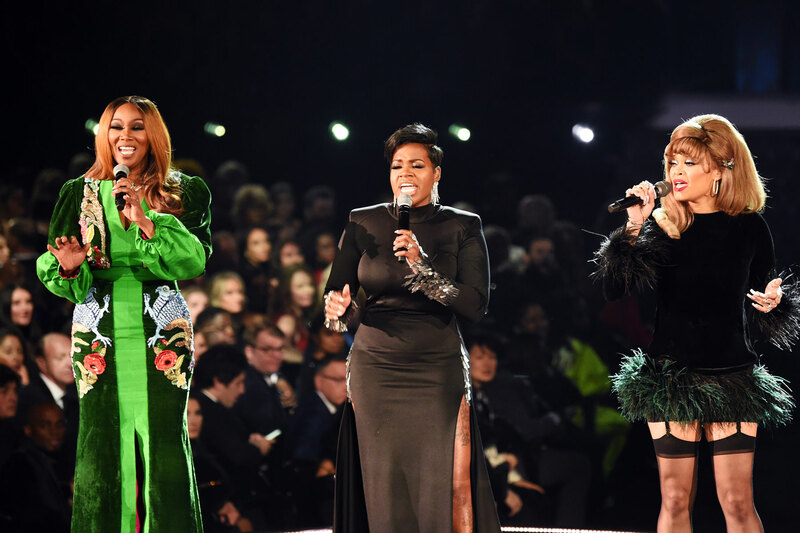 Yolanda Adams, Fantasia and Andra Day teamed up to honor the late Queen of Soul with a stirring rendition of “(You Make Me Feel Like) A Natural Woman” at the 61st Annual Grammy Awards in Los Angeles Sunday night. The three women stood side by side as they each took verses, first Adams, then Fantasia then Day. Each of the women put their own unique, soulful and at times fiery touches on the soul standard. It ended on a brilliant high as the three singers harmonized “woman.” The song was a hit for Aretha Franklin in 1967, when it made it to Number 8 on the Billboard Top 100 and became one of her signature songs. Franklin died after a battle with pancreatic cancer last August at the age of 76. In 2010, Rolling Stone named her the Greatest Singer of All Time. Gospel singer Yolanda Adams hasn’t released a new album since 2011, but she’s won four Grammy Awards over the course of her career. She earned her first, in the Contemporary Soul Gospel Album category, in 1999 for Mountain High … Valley Low. She previously plaid tribute to Franklin at her funeral, singing “Mary, Don’t You Weep,” which Franklin popularized on her Amazing Grace album. She previously honored Franklin at the 2011 Grammys, alongside Christina Aguilera, Jennifer Hudson, Martina McBride and Florence Welch. “That’s just, like, earth-shattering,” she said at the time. Fantasia, who shot to fame winning the third season of American Idol in 2004, has been nominated for 12 Grammys over the years but she has so far only won one, in 2010 for her song “Bittersweet” in the Female R&B Vocal Performance category. She put out her most recent album, Christmas After Midnight, in 2017. And Andra Day first turned heads with her only album so far, 2015’s Cheers to the Fall, which made it up to Number Three on the R&B chart. She was nominated for two Grammys in 2015, one for Cheers in the R&B Album category, and one for “Rise Up” in the R&B Performance category but did not win.